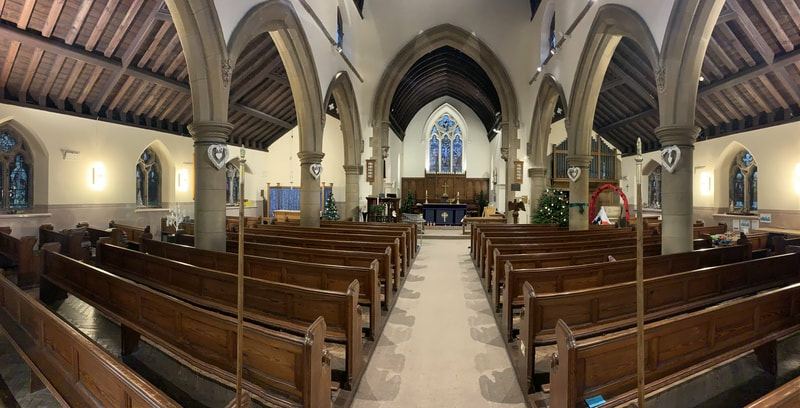 St Bartholomew’s Church, Old Whittington, Chesterfield wanted to upgrade their lighting throughout the church which was built in 1896. 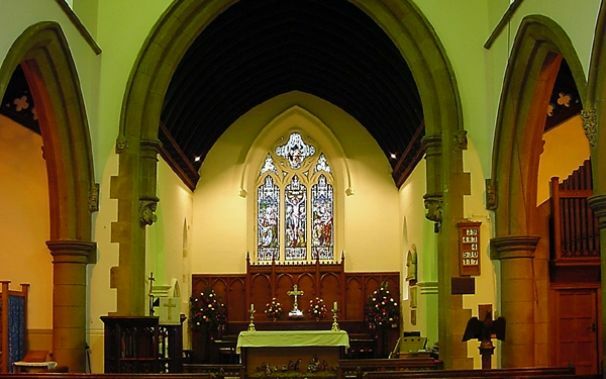 The brief was to brighten the church and highlight the beautiful stained glass windows and other stunning features. 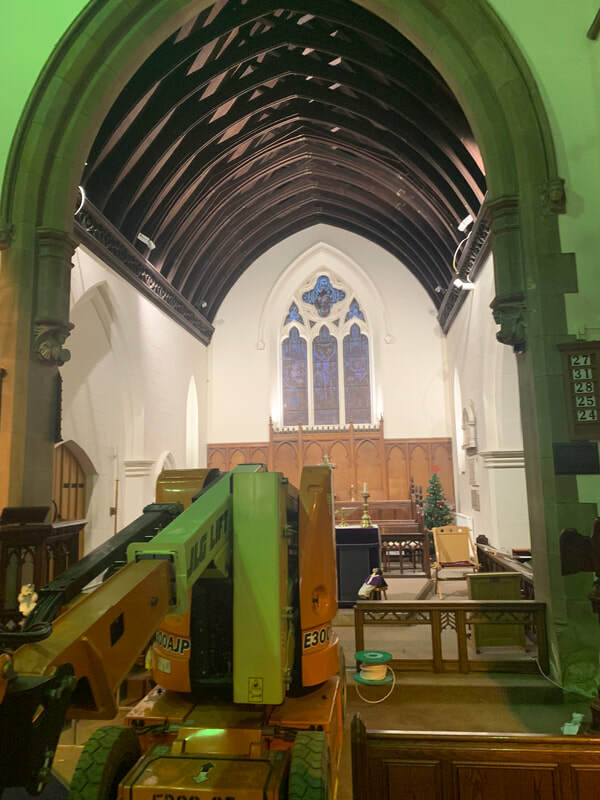 The aim was to install lighting which created a bright and pleasant atmosphere through the church whilst not taking away from the ambience within the church. 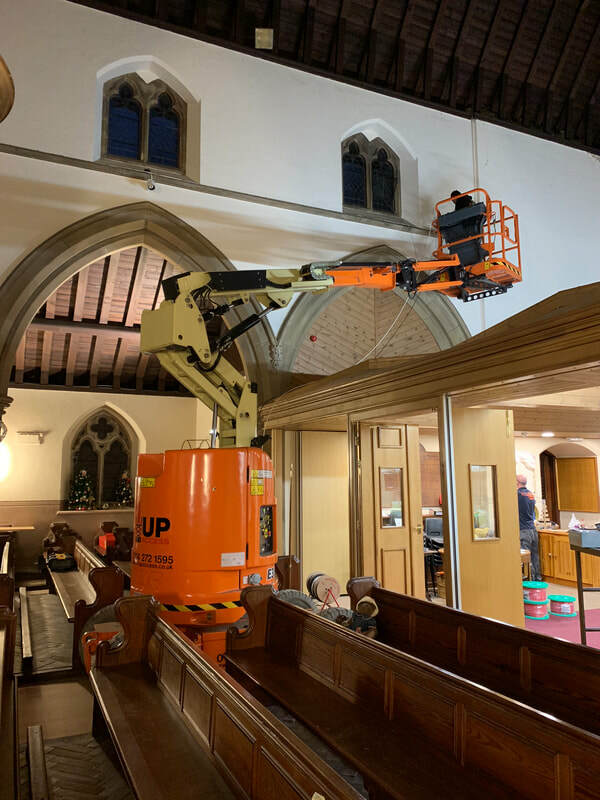 The installation of the lighting posed a number of obstacles such as wooden floors, fixed pews, narrow doorways and the height of the church ceiling, all requiring specialist access equipment. 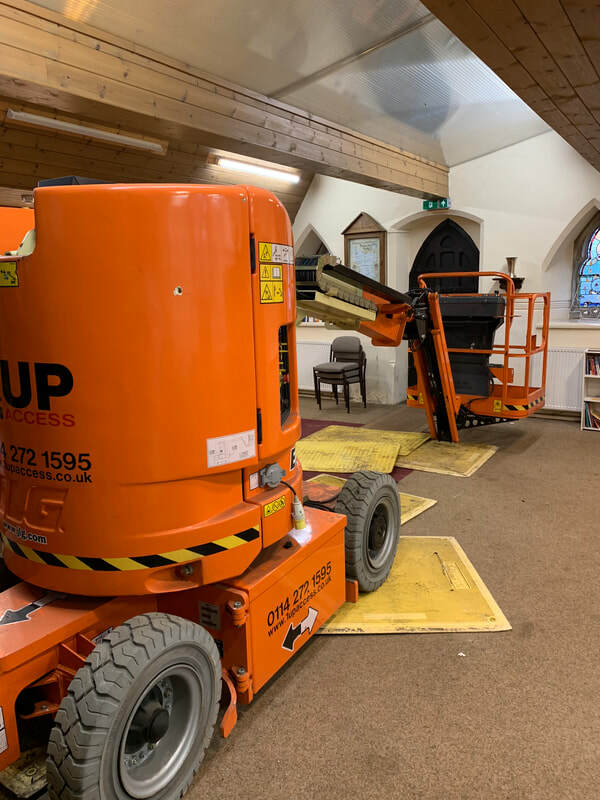 We had to solve all of these obstacles whilst causing the minimum of amount of disruption to the church and its users. 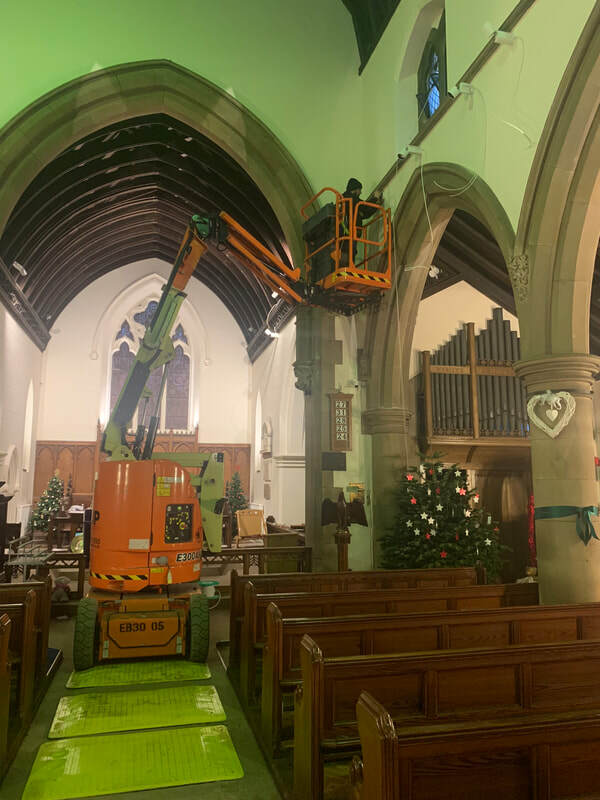 Even for TCS (UK) and our wealth of experience this was one of the most challenging projects we had undertaken, but it was within our capabilities. 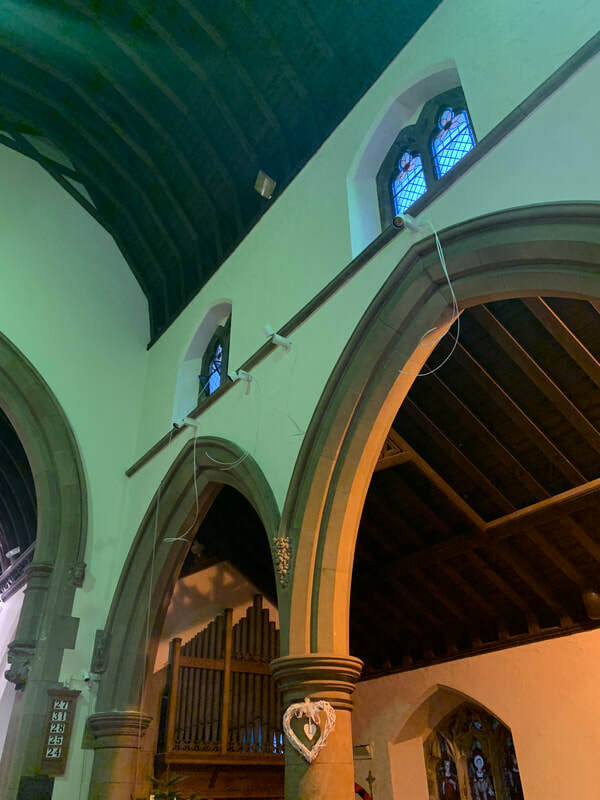 The project was achieved by changing switching, rewiring and fitting dimming systems all installed in a sympathetic manner hiding cables and locating fittings in unobtrusive positions. 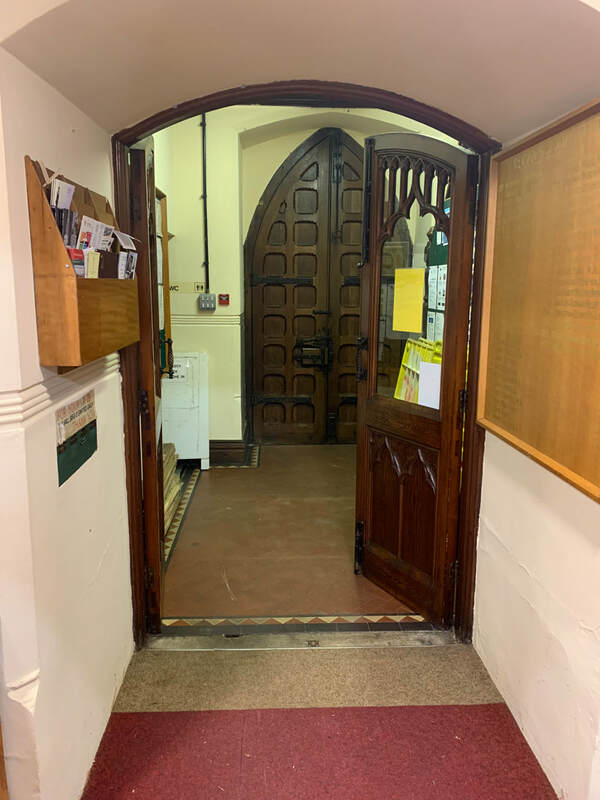 The first obstacle was to source access equipment which had to meet the following criteria the ability to go through narrow doorways with steps, to reach over fixed pews and to reach high ceilings, parts of the church also had wooden floors thus restricting the weight of the equipment. 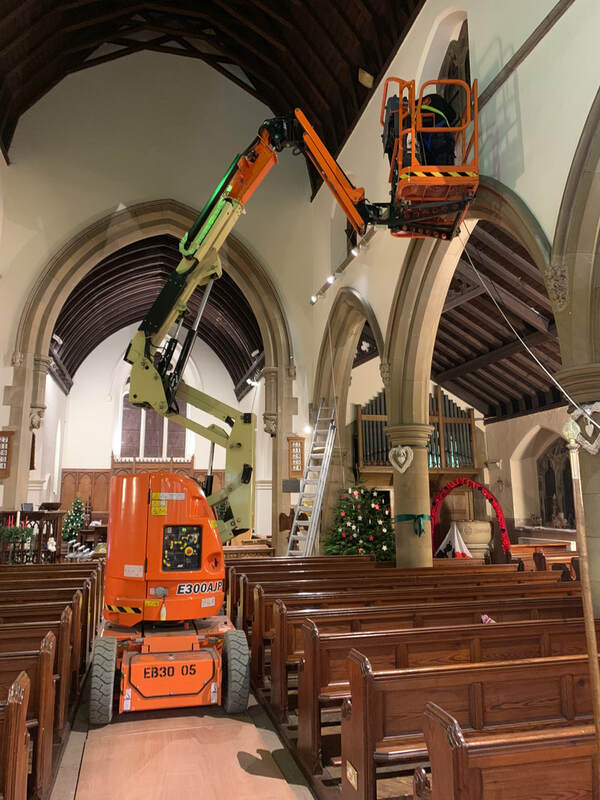 ​TCS (UK) managed to source specialist access equipment from across the country. 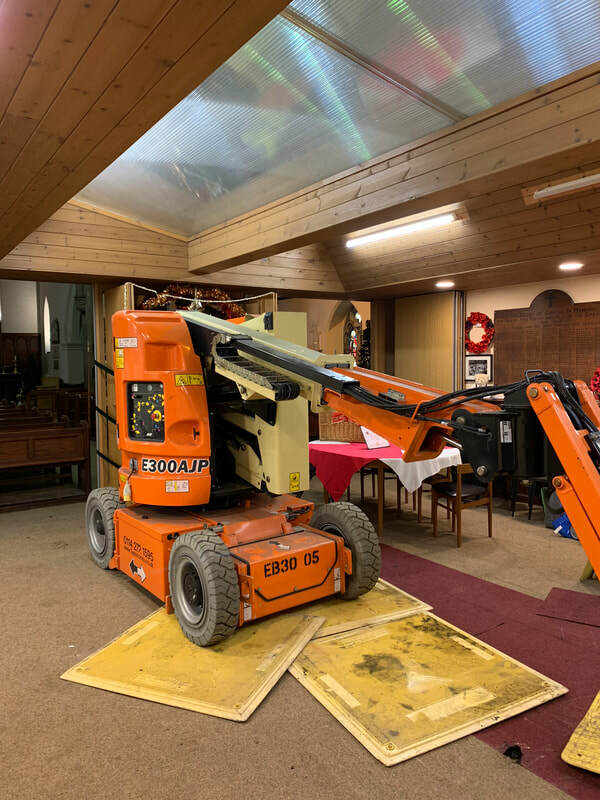 It took experience and considerable skill to use the equipment in such a restricted area, and our engineers did not fail. 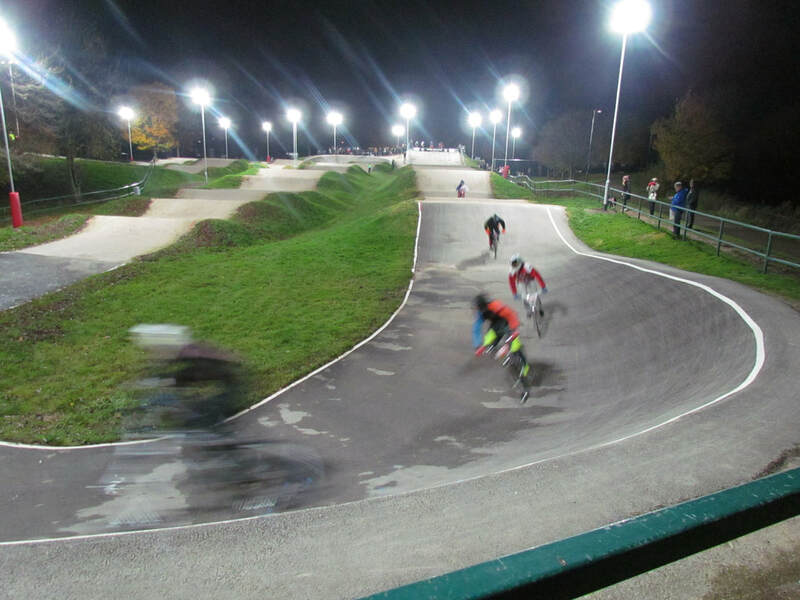 The project in total took approx. 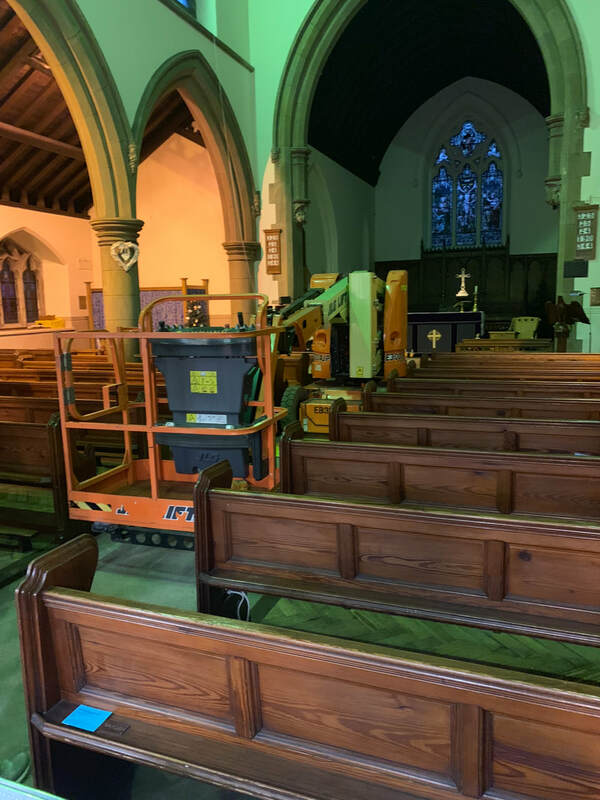 2 weeks to complete creating a stunning looking church which meets all the requirements requested.